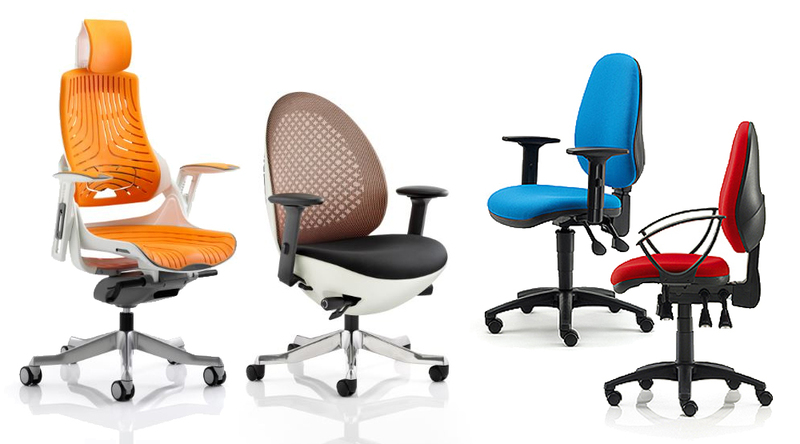 Investing in good quality, practical and ergonomic chairs is essential when your business is centred around office work. As well as being functional and improving employees’ well-being and comfort, a chair also has the ability to transform the feel of an office space with stylish design. Here we outline the key styles of ergonomic task chairs, who they’re best suited to and what benefit they will add to your office. Stylish ergonomic chairs are our most popular range of task chairs, combining the best of ergonomic function with slick, contemporary design. These designs will both enhance the design of your office and your employees comfort. These task chairs are suited to everyday office work while the Balance chairs are ideal for 24hour use. The Ergo Stool is best suited to active and physically fit individuals. 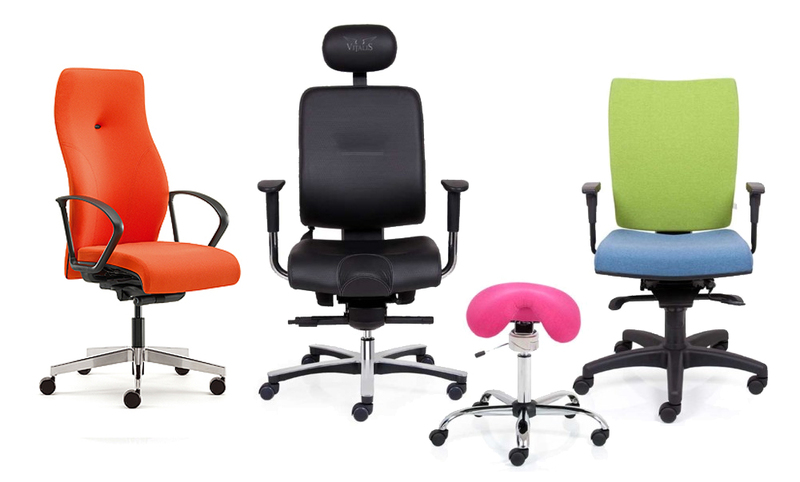 From left to right: Task Chair T1KIT £255, Balance Leather, Balance Ergo Stool , Balance Fabric Q please call for prices. Designer ergonomic task chairs not only look the business but provide a world of considered comfort features for the discerning office worker looking for premium task chairs. The basic ergonomic range of task chairs provide all the legal requirements of an office task chair, without the added flair, and are ideal for complete office fit-outs, start-ups or for desks that are only occasionally occupied. From left to right: Task Chair Z101KIT £319, Task Chair R097KIT £295, Task Chair 2KIT £135, Task Chair 3KIT £189. Our ranges of executive ergonomic chairs are the ultimate in luxury task chair and are normally reserved for Management, Executives and Directors. Upholstered in leather with a luxurious high back, our executive office chairs come with a generous host of comforting features. From left to right: 103KIT £190, 617KIT £245, 609KIT £219, 605KIT £179. Why buy from Office Kit? We only supply the best quality chairs that are made in the UK. Why? We once experimented with supplying cheaper office chairs that were made abroad, and experienced a surge in returns and faults reported which reinforced the motto of buying cheap = buying twice. This is why we only supply chairs that are of quality build, made to last and made in the UK.